Store 120 M9 handguns or optics within its 84”h x 42”w x 15”d size. 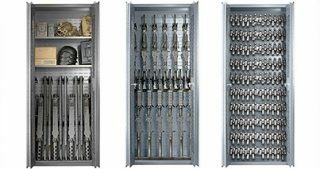 This 14-gauge all-welded steel cabinet comes with sixty 30-lb. 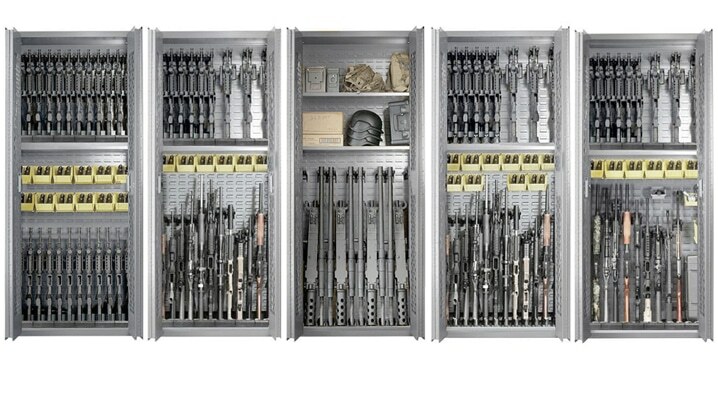 capacity modular bins with removable dividers that can be relocated in any SecureIt cabinet. 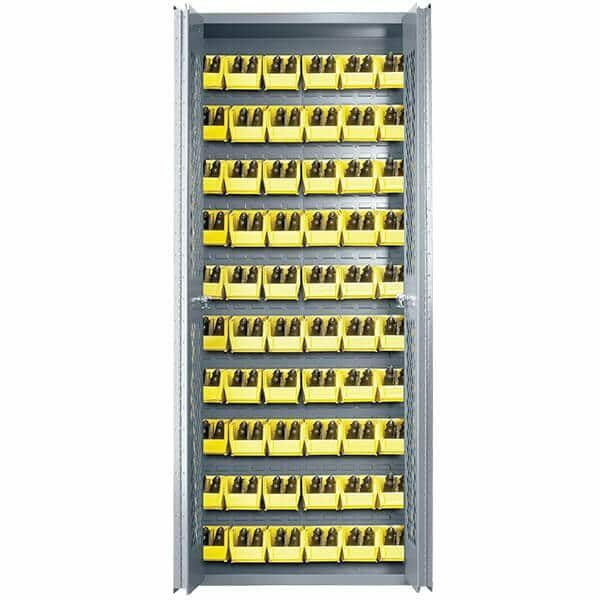 Bins adjust the CradleGrid and may be used in any SecureIt rack for optimal organization.